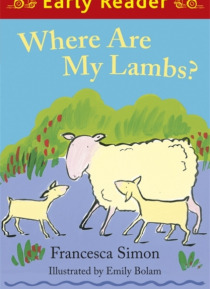 IHG® Rewards Club - eBook - Early Reader: Where are my Lambs? It's time for bed but Mother Sheep can't find her lambs, Tilly and Tam, anywhere! Where in Potter's Barn could they be hiding? An ideal story to read at Easter! Early Readers are stepping stones from picture books to reading books. A blue Early Reader is perfect for sharing and reading together. A red Early Reader is the next step on your reading journey.